Comfort kits are not all that complicated to make and instructions for them with measured line drawings were published in magazines during WWI, so it's a little unusual to see a manufactured pattern for one. 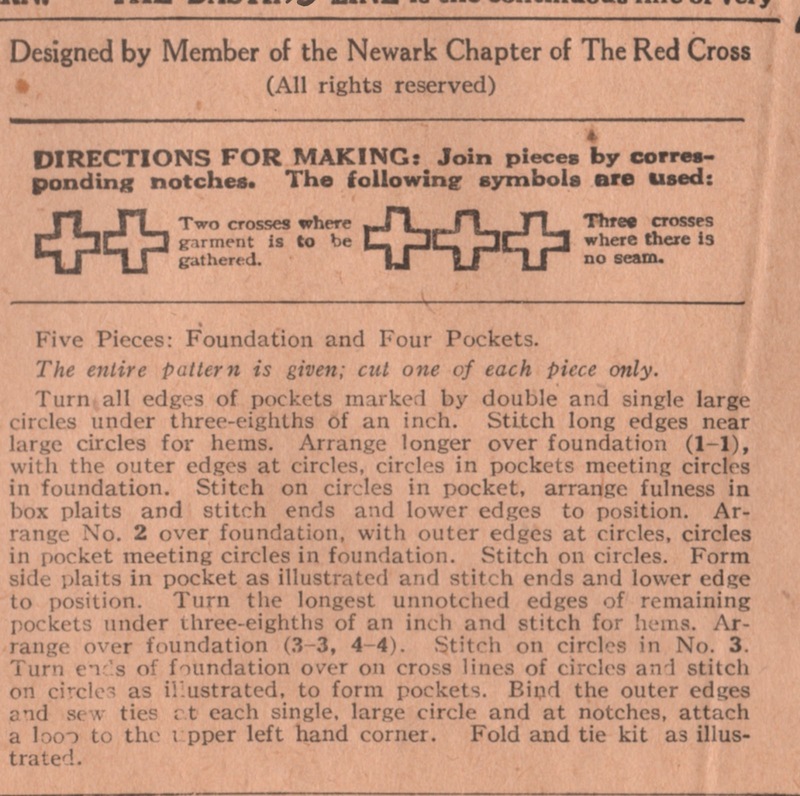 Why the Newark (N.J.) chapter of the Red Cross was favored is a mystery. This pattern appears never to have been used. 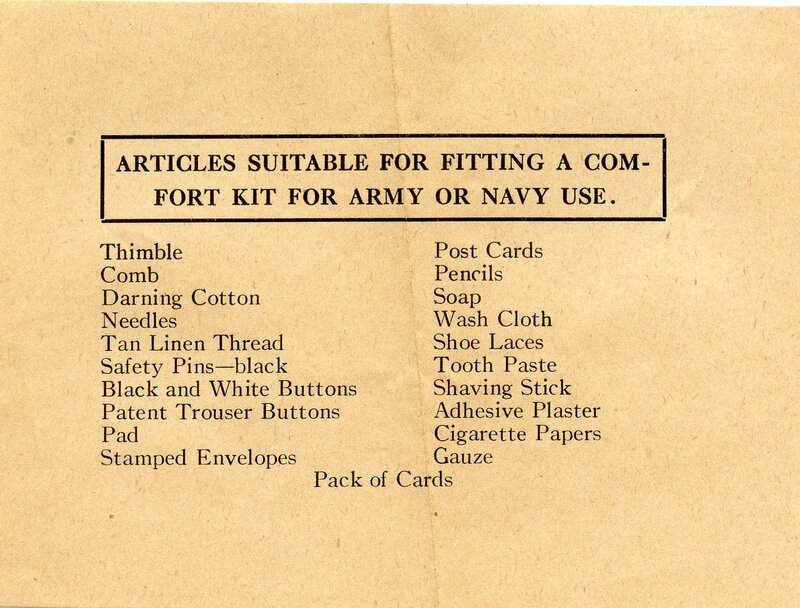 The insert of suggested items for filling the comfort kit was still enclosed. For those of you who'd like to try making your own comfort kit, here are some detailed scans for you to download and enlarge or print out and grid up for hand enlarging. 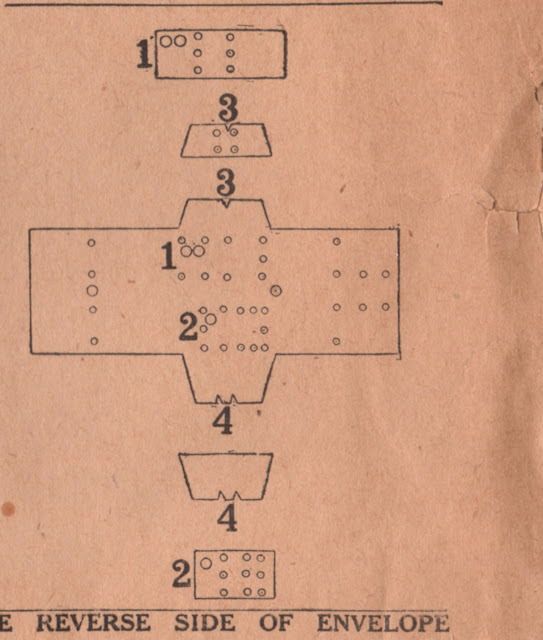 Notice that the longest dimension is 33", and the layout diagram shows the kit being laid crosswise (selvedge to selvedge.) 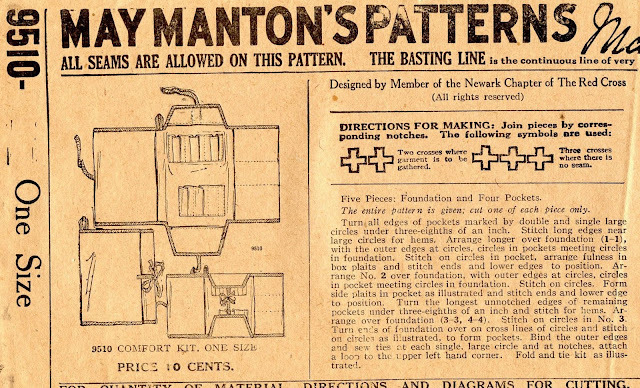 The one fabric that I know that is still available in this width is pillow ticking, which is a very suitable fabric for this purpose. February 7th, 2017 - Added detailed scans. I hope you can answer a comment on an old post. 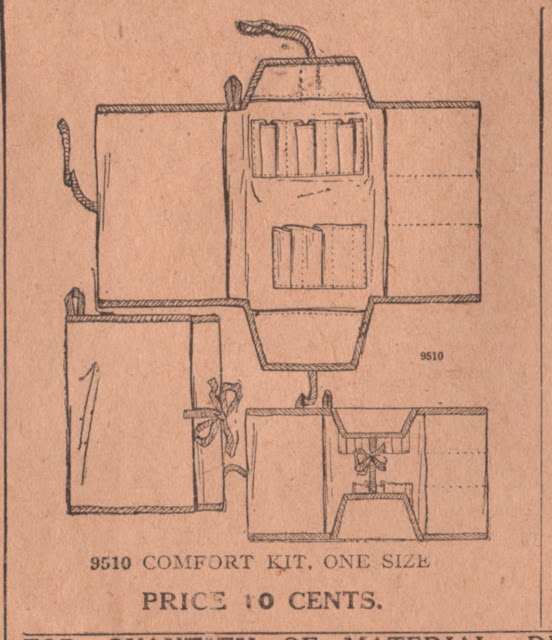 I would very much like to make one of these May-Manton Comfort Kits. How might I get get a scan of it? Hello. I've added some additional scans that you can download and use to make up a full-sized pattern. Good luck.